YOU MAY NOT HAVE TO LIVE WITH NEUROPATHY PAIN. THEN PULSED INFRARED THERAPY IS FOR YOU. Appointments Now available, Call Today. 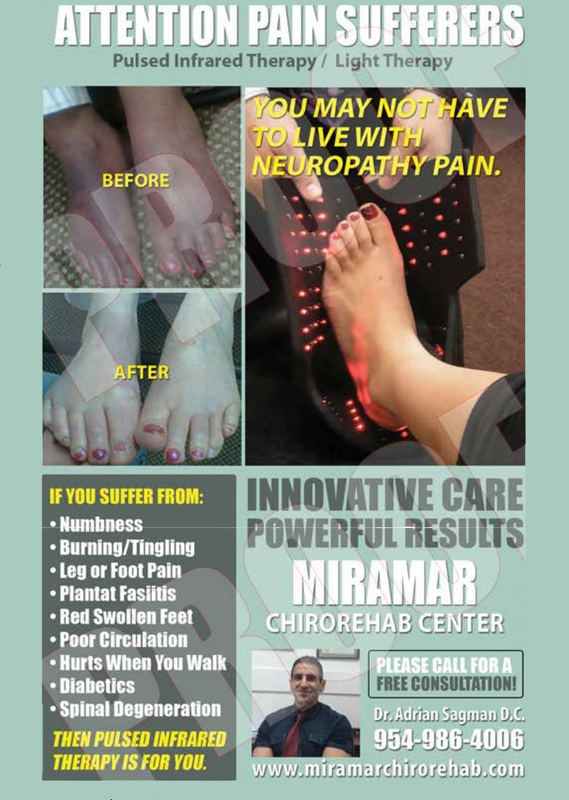 Welcome to Neuropathy Treatment Centers of America. I am Dr A. Sagman D.C.
Our clinic helps people in the neuropathy treatment of the symptoms Assoc with P. N.
Our technique involves a non invasive, non drug treatment. We offer a program to help patients gain total control of their lives again, through successful A T Mar techniques which are different in the world today.